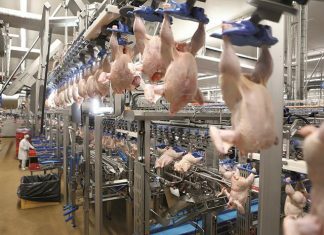 Sustainability themes such as carbon footprint, carcass balance as well as animal welfare and food safety are stimulating new automated technologies in the poultry industry. 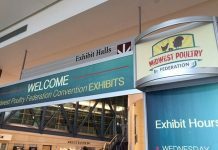 Fully aware of this advancing automation trend, Marel Poultry continues to focus heavily on developing innovative processing solutions. Our presence at VIV Europe 2018 demonstrates this. By highlighting animal wellbeing in the sustainability scorecard Marel Poultry is ensuring environmental and economic responsibility in the most crucial stages of the lifecycle of the product. By instituting good animal wellbeing practices in general, Marel Poultry can support food processors in increasing the quality of products and production while simultaneously reducing the carbon footprint using Marel Poultry solutions. products on the shelves. The use of antibiotics is being reduced progressively. Up to their last moments, chicken should be treated humanely, while the most respectful way of anesthetization should be applied. Particularly in our live bird handling and stunning systems, Marel Poultry maximally takes into account animal wellbeing, which will be clearly visible during VIV Europe 2018. Once they are loaded in the ATLAS (Advanced Technology for Live bird Arrival System) SmartStack transport modules on the farm, birds remain untouched by human hands all the way and they’re not subjected to abrupt movements. Broilers therefore avoid the major stress factors which other systems subject them to. 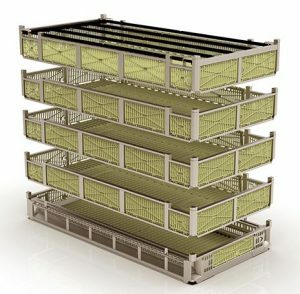 They stay peacefully in their trays during truck transport, lairage and destacking until they are gradually sedated by the CAS SmoothFlow system. Only after anesthetization they are taken out of their trays to be shackled to the processing line. 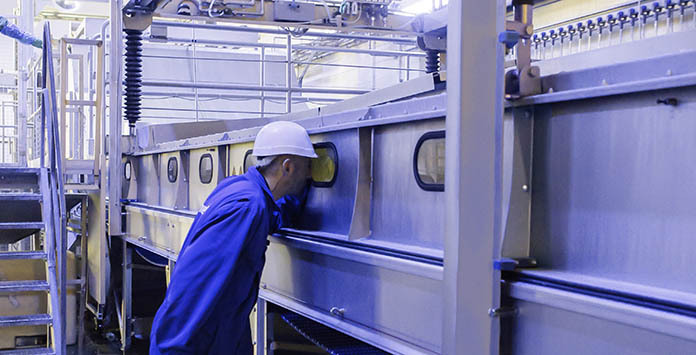 Reducing the CO2 footprint has become one of the goals of the company’s research and development team. New technologies are designed while taking into consideration less use of water and energy. In addition, Marel Poultry’s portfolio comprises also wastewater treatment, a truly important environmental aspect. Another example of carbon footprint reduction is ATLAS’ SmartStack transport module. Its ingenious construction features a bottom tray, which doubles as a pallet. This enables transportation of more birds per module, while they enjoy the most headroom in the industry. This means less truck movements from farm to processing plant, implying a reduction of the carbon footprint. More and more, consumers worldwide want to know about the origin of their food. They want to be sure that the entire production process has been in trusted hands, guaranteeing absolute food safety. As for poultry meat, consumers want to buy chickens of which the entire timeline is known, from farm to fork. Marel Poultry’s innovations at VIV Europe enable the traceability capacities that are required by their customers. 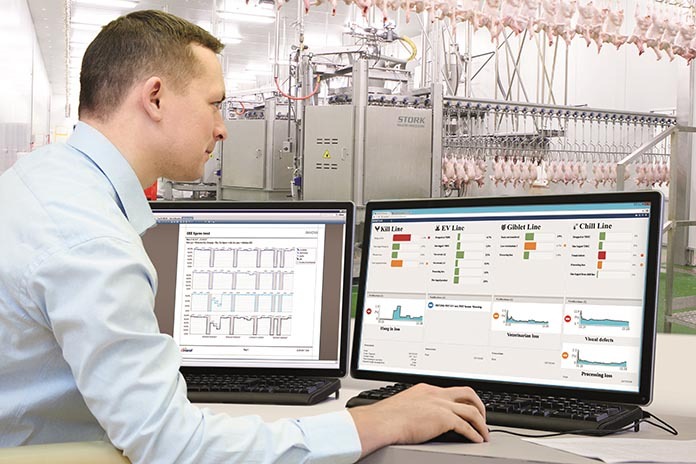 Particularly Innova Food Processing Software plays a major role in acquiring and controlling all product data, needed to be able to trace a certain product in the process flow. In case of an unexpected recall situation, Innova allows for precise identification of an inferior flock on the plant’s product input side or withdrawal of a specific product lot from the supermarket shelves. Improved utilization of raw materials has become increasingly important as the world population grows and demand for protein increases. Around the planet the awareness of carcass balancing in the poultry industry – in other words maximizing the value of every part of the chicken – is growing. For more and more people using just the breast meat of carefully reared chicken and underrating the rest, perfectly edible food rich in proteins, is not making sense. Given the increasing attention being paid to sustainable production and a growing world population to be fed, it is entirely logical to add as much value as possible to each and every part of the chicken, especially to such a tasty part as the leg. 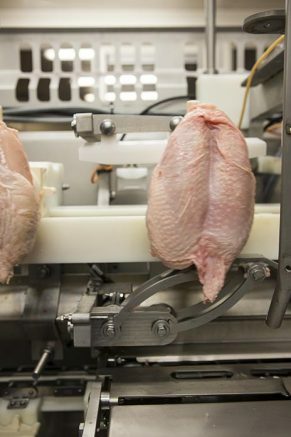 By automating manual deboning operations, poultry processors can align with the carcass, balancing trend and at the same time increase their cost-effectiveness, because deboned meat has more value than bone-in meat. 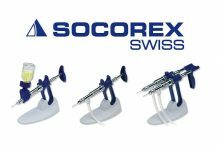 Automation allows for upgrading of formerly exported frozen bone-in meat parts, turning them into attractive boneless products. Marel Poultry can provide poultry processors with systems that enable them to maximize utilization of every part of the broiler. That is why we keep introducing fully inline deboning solutions, and VIV Europe is no exception to this. 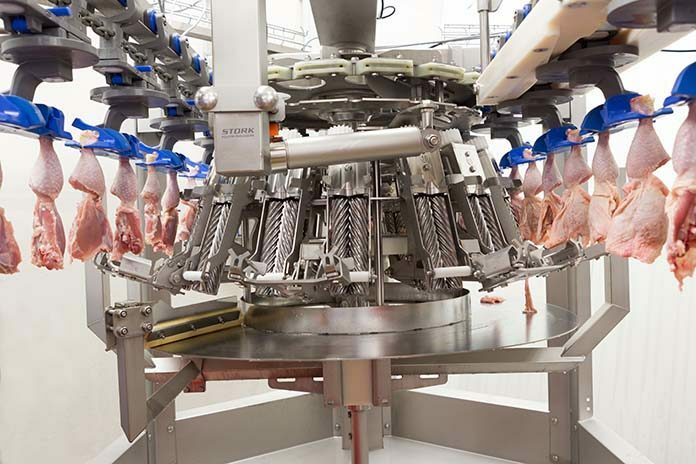 European poultry processors are continuously looking for highest possible efficiency of their operations, bilaterally connected with the growing consumer demand for poultry products. Marel Poultry has already foreseen the current need for an increased line speed and will set a new benchmark in this respect at the VIV Europe 2018 event. Sustainability benefits from this growth of efficiency too, since only slightly modified machinery will produce a considerable larger amount of products. This means a significant reduction of energy, water and environmental footprint, compared to a full expansion with a second processing line. The concept chicken, as opposed to the standard broiler, is gaining ground. It is not just Europe that is breeding different slower growing and organic species, such as “Better Life” chickens, “Chickens of Tomorrow” and Label Rouge breeds. Combined with local chicken breeds, which are also becoming increasingly popular due to the “eat local food” trend, poultry processing plants may welcome a large variety of chicken sizes, shapes and weights. To cope with that, processing solutions have to be more flexible than ever. At VIV Europe 2018, Marel Poultry will show its exclusive approach of these challenges. Just an example: at the input of the AMF-i intelligent filleting system the size of each breast cap is measured after which the processing modules adapt themselves automatically to this size.